The Google Calendar app for Android is the latest app from the Mountain View company to receive an update, after the last few weeks have brought us a flurry of news on this front. Just after the Google Play app has been updated, and to go with the news about the new Gmail update still ringing in everybody's ears, the Calendar app also got some welcome additions. Most users will likely appreciate the ability to change the colors of the various events in your calendar in order to differentiate them from others at a glance (it looks somewhat similar to the palette in Google Keep). Adding recurring events also offers more options now, making it easier to set them. Also, the time picker that lets you create a new event has been updated with a new design and a searchable time zone picker has been added to make things more convenient. The new update is currently rolling out to users, so you should be getting it on your device soon. LG has officially announced the device is launching May 29 in Hong Kong, making its way around the rest of the world in the weeks to follow. Bloomberg reports that Google is considering making an acquisition offer for mapping company Waze. Numerous reports over the past few weeks have claimed that Facebook is also eyeing an acquisition of the maps firm. Google Inc. (GOOG), maker of the Android operating system, is considering buying map-software provider Waze Inc., setting up a possible bidding war with Facebook Inc., people familiar with the matter said. Waze is fielding expressions of interest from multiple parties and is seeking more than $1 billion, said one of the people, who asked not to be identified because the talks are private. The Palo Alto, California-based startup might also remain independent, instead seeking to raise a round of venture capital financing, the people said. Waze’s price-tag is current said to be around $1 billion. Google’s potential bid would likely create a bidding war with the Menlo Park-based social network. Bloomberg reiterates that Apple is not in discussions with Waze. Rumors from earlier this year claimed that Apple was eyeing an acquisition, but many of those claims were immediately debunked. Samsung said Wednesday that it recently acquired a 10 percent stake in Pantech for about $48 million. While that may seem like a bizarre move, especially since the two firms compete in the lower-tier Android smartphone market, Samsung said it will help its business relationship with Pantech. “Samsung Electronics has agreed to acquire a 10-percent stake in Pantech, valued at approximately KRW 53 billion,” the company said in a statement provided to The Next Web. “The investment is aimed at solidifying our relationship with Pantech, a key component customer of Samsung. Samsung will have no involvement in Pantech’s business management in any way or form.” Pantech purchased 235 billion won worth of components from Samsung last year alone, Yonhap News said, noting that the smartphone maker trails behind Samsung and LG in the South Korean cell phone market. Samsung is now the third largest shareholder in Pantech. Qualcomm holds the largest share with an 11.96 percent stake in the company and Korea Development Bank holds an 11.81 percent stake. Sprint entered into an agreement to buy the remaining 50 percent of Clearwire that it doesn't already own for $2.97 per share, or around $2.2 billion. This morning Sprint announced that it's decided to up its bid to $3.40 per share, putting Clearwire at a value of $10.7 billion. Sprint says that this is its "best and final offer" for Clearwire and that it's bid is the "best strategic alternative" for Clearwire and its shareholders. This improved Sprint bid bests the offer that Dish Network made for Clearwire in January 2013, which was set at $3.30 per share. While it remains to be seen which offer Clearwire will ultimately take, things definitely appear to be leaning in Sprint's favor. Not only does Sprint now have the higher bid, it also has the support of Clearwire's Special Committee and its board of directors. What's more, Sprint says that it's been told by Comcast, Intel and Bright House Networks that they all plan to vote their shares of Clearwire in favor of Sprint's merger. Those three companies own a total of approximately 26 percent of Clearwire. Dish Network is quite interested in entering the wireless business, and according to a new report, the company is now targeting LightSquared as a way to bolster its existing spectrum holdings. Source speaking to Bloomberg claim that Dish chairman Charlie Ergen recently offered to buy LightSquared's spectrum for $2 billion. The offer was reportedly made on May 15, and LightSquared's is said to have until May 31 to make a decision. Neither company has officially commented on the rumors, but the tipsters claim that LightSquared would use the funds to pay off its secured debt. LightSquared previously tried to build out its own 4G LTE wireless network, but the FCC shot down its plans to do so over concerns that its spectrum could interfere with GPS systems. Things went downhill from there, with Sprint ending its spectrum hosting agreement with LightSquared, followed by the company's decision to file for bankruptcy. LightSquared submitted new network plans with the FCC toward the end of 2012, but the federal agency has yet to approve that spectrum for use in a wireless network. Meanwhile, Dish's spectrum has already been a go ahead by the FCC for use in a wireless network, and since then the company has been trying to find a partner to help it break into the wireless industry. The company has already made offers for Clearwire and Sprint, and now Dish apparently sees LightSquared as a good way to help it bolster its existing spectrum. Considering how desperate Dish has been to get into the wireless business, it's no surprise to see that it's now gunning for LightSquared's spectrum, especially after the issues that LightSquared has been having getting approval for its own network. We'll have to wait until May 31 to see how this matter plays out, but it'll be interesting to see if Dish can snag LightSquared's spectrum and how that could influence Dish's potential deal with Sprint. It's also worth noting that Bloomberg's sources claim that Dish's offer is a "stalking horse agreement," which means that other company's could come in with a higher bid for LightSquared's spectrum. The next 11 days could be quite a bit more exciting than we'd previously anticipated, stay tuned for more details as they emerge. Nearly a month after Sprint was given the ok from SoftBank to speak to Dish and gain more details about its $25.5 billion offer for the Now Network, it appears that the discussions are going to escalate a bit. Sprint tonight announced that it's received a waiver from SoftBank to discuss "non-public information" with Dish and to hold negotiations regarding Dish's bid for Sprint, two things that Sprint was not allowed to do during its previous talks with Dish. Sprint also reminds us in its announcement that, as part of the terms of its deal with SoftBank, it can end its agreement with the Japanese carrier in order to pursue a better offer. Sprint is quick to point out that it hasn't yet determined if Dish's offer is superior to SoftBank's, though. The No. 3 carrier also says that its board of directors still supports its existing deal with SoftBank. Sprint originally entered into an agreement with SoftBank late in 2012 that, if completed, will see the Japanese carrier dropping $20.1 billion for a 70 percent stake in Sprint. Dish then surprised most everyone with its own $25.5 billion offer for Sprint in April 2013, and since then Sprint has been contemplating the bids while SoftBank and Dish exchange comments about whose offer is superior. Exactly how this whole situation will play out is still a mystery, but SoftBank's bid for Sprint did recently get approval from the SEC, and Sprint's shareholders are now scheduled to vote on the offer on June 12. SoftBank also expects the deal to close on July 1. Meanwhile, Dish is still fighting for its offer, and the company has even put in a $2 billion offer for LightSquared's wireless spectrum that could increase the odds of its bid being selected. If you were Sprint, which offer would you choose? Project Orphelia, a thumb-sized drive that turns any display with an HDMI port into an Android PC, is to start shipping in July at a price of around $100, reports PCWorld. It’s similar in form factor to a USB key, and simply plugs into any modern TV or monitor. The first units will be offered to developers, with consumers expected to be able to get their hands on one around August. While the portability of the device is appealing, you’re still going to need a Bluetooth keyboard and mouse to do anything useful with it, raising questions as to how well it can really compete with a tablet or ultrabook. But Dell says it is working on a “keyboard like technology’ to go with it. An FCC filing suggests that Google may be working on a new streaming media player to replace the Nexus Q, the device Google announced, shipped to pre order customers free of charge and then withdrew from the market. The Nexus Q was a $300 device that streamed only a limited amount of content to a TV, so was a tough sell against alternative approaches like an Xbox or Apple TV box. There are unfortunately no clues as as to how this new device might differ from the Q.
DirecTV is weighing a potential bid for Hulu, the latest company to show interest in the six-year-old video site, according to a person familiar with the matter. Hulu’s owners, including Walt Disney Co., News Corp., and Comcast Corp., are considering various strategic options for the site including a sale. Other firms that have bid or expressed interest in Hulu include cable operator Time Warner Cable Inc., Guggenheim Partners, Yahoo Inc. and former News Corp. president Peter Chernin’s investment group. Labels: buyout, Comcast Corp, DirecTV, Hulu, News Corp., Walt Disney Co.
Yahoo is rumored to be on the verge of shelling out $1 billion for hosting site Tumblr. This could easily be a win-win deal as Yahoo needs the infusion of young blood while Tumblr is looking for liquidity. There is speculation that Yahoo CEO Marissa Mayer has had her eye on the company for a while and has already met with its executives including Tumblr founder and CEO David Karp. Tumblr has raised $125 million at a valuation of $800 million, so a $1 billion price tag would certainly be in the ballpark, especially since the microblogging site starting adding mobile ads to its mobile app in March. Over the past 6 months, the number of those using Tumblr's mobile app has quadrupled. Tumblr's growth is right now off the charts. The company had $13 million in revenue last year and is expecting as much as $100 million this year. Yahoo has been shutting down many of its mobile apps and one estimate is that 80% of the company's apps could be gone by the end of the year. But a purchase of Tumblr would add a mobile app that could revitalize Yahoo in the mobile space, where it has yet to make a name for itself. According to sources close to the situation, the Yahoo board plans to meet Sunday night to decide whether to approve a $1.1 billion all-cash offer for New York-based blogging site Tumblr. Samsung has announced the next generation of their TecTile NFC offering. Dubbed TecTiles 2, the programmable stickers are designed to be fully operable with all NFC enabled handsets from Samsung, including the Galaxy S4. 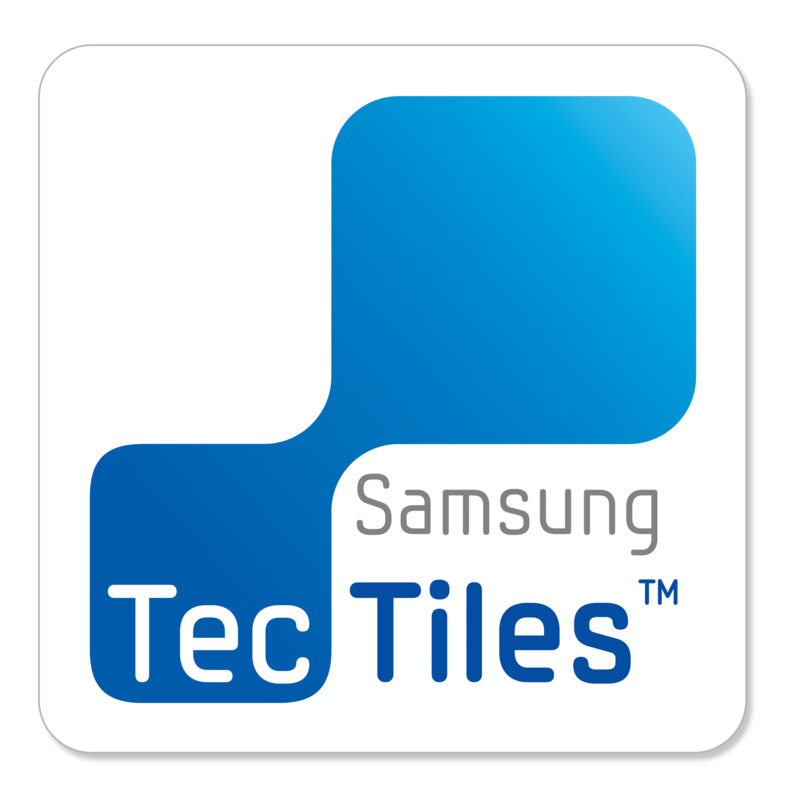 As with the original TecTiles launched alongside the Galaxy S3, TecTiles 2 feature a companion app for Samsung smartphones that allows users to create custom NFC-based functions. You can get an idea of this from our review for the original TecTiles, but basic interactions include toggling settings like Bluetooth or WiFi, opening a specific application, or checking into Foursquare or Facebook. You can buy them starting today direct from Samsung and soon from other retailers. A pack of five cost priced at $14.99. Did you miss the 3 hour Google I/O keynote from yesterday? Google decided not to do a day 2 keynote, they packed everything into day 1, with topics ranging from Google+ to Chrome to Android and even Google Maps. The Keynote presentation ended with a 30-40 minute Q&A with Larry Page. 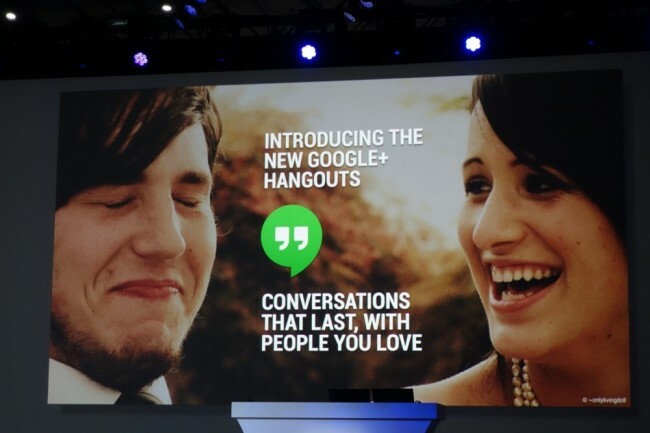 To see all of our coverage from Google I/O 2013. 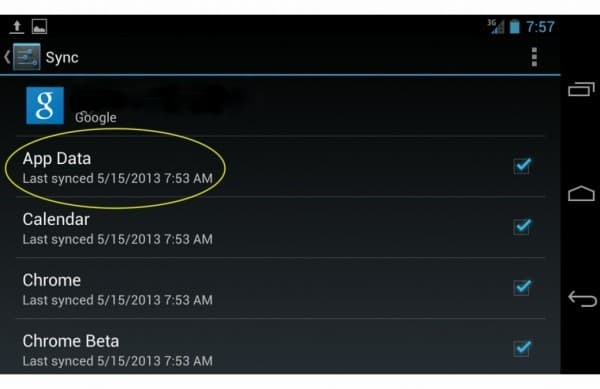 Google TV didn't receive any stage time today at the Google I/O keynote, it will be receiving Android Jelly Bean 4.2.2 and the latest version of Chrome. While Google has not elaborated on what new features Jelly Bean 4.2.2 will bring to Google TV, it is worth noting that this update will allow manufacturers to deliver updates within weeks instead of months. Additionally, Chrome for Google TV will see update cycles every six weeks. The latest Chrome update will bring hardware-based content protection, a move that will make developers happier in respect to preventing piracy. Current Google TV owners should anticipate Android Jelly Bean 4.2.2 to be pushed out through their respective manufacturers “in the coming months”. We've seen Google work with various partners to put Android on pretty much anything (e.g., TVs, gaming devices, cameras). Certainly Google TV has been around for a few years but it hasn't caught on as quickly as the Mountain View company would have hoped, hopefully this upgrade to 4.2.2 and the new Google features unveiled today entices developers to add new apps and make the platform more appealing. Google Hangouts, the new unified and cross-platform messaging service announced by Google at I/O, is now live on all platforms. For most of us, we care about Chrome and Android, but if you are an iOS user, you can find it in the App Store as well. Go grab it! To install to your phone, you’ll need to install through the web Play store for the time being. This replaces Google Talk. 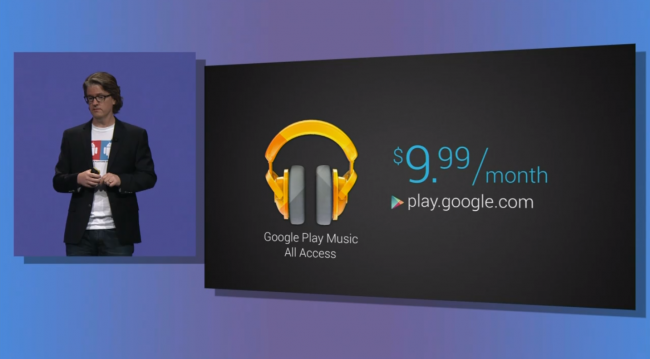 Google made their new streaming music service official. Google Play Music “All Access” gives users the ability to search through Google’s huge amount of songs and the ability to play them instantly. An all new UI allows you to swipe away songs if you don’t want them and the ability to make radio stations instantly based on one song. The price of this new streaming service is $9.99 per month, but everyone gets a 30 free trial. If you are an early adopter and sign up before June however, your price is only $7.99. 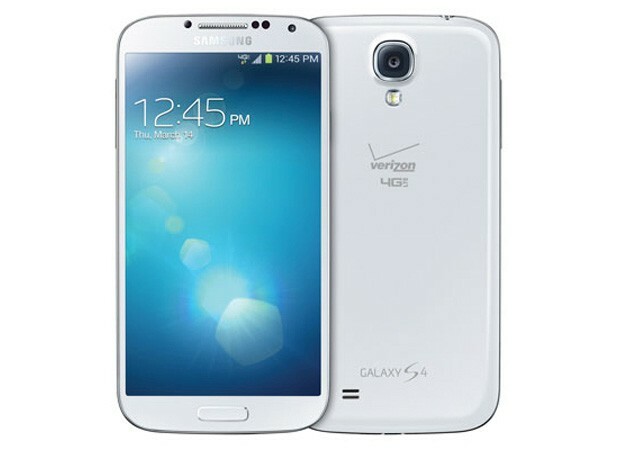 Google clearly isn't afraid of Samsung’s growing Android presence, with the search giant today announced a completely stock Galaxy S4. Vanilla. Stock. No TouchWiz anywhere. 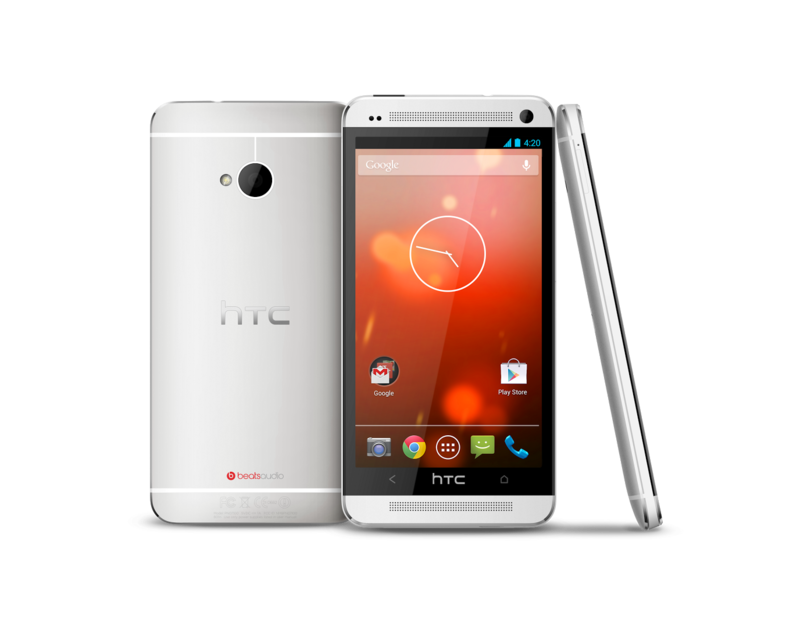 One of the best new Android devices available today just got much, much, much better times infinity. The vanilla version will be unlocked, sold through Google Play, and available for AT&T and T-Mobile, with LTE support. The bootloader will be unlocked and receive Android updates promptly, no waiting for Samsung or carriers to give the go ahead. Availability is June 26 for $649. Android is getting serious about gaming today at Google I/O 2013. Google Play Games, which leaked out over the weekend, has been made official with a host of new features for your mobile gaming. Some of the new features you can look forward to include Cloud Save which will allow you to save your game on one Android device and resume it on a second device. Also adding to the platform are the popular enhancements of other platforms such as achievements and leader boards. HP is announcing SlateBook x2 today. We're basically looking at a standard 10-inch Android tablet, but in the configuration of what HP is calling a "two-in-one device" that has a keyboard dock. As is usually the case, the tablet is completely contained as a stand-alone device, with a 1920x1200 IPS display, Tegra 4 processor and 64GB of storage. The SlateBook x2 is also shipping with Android 4.2.2, and what looks like very limited customizations from HP -- it even goes so far as to say this is "HP’s push to offer access to the Google experience". The docking station has a full keyboard and trackpad, along with a USB port, SDcard slot and an additional battery to charge the tablet. Based on the information given to us right now the HP SlateBook x2 is expected to ship in August in both grey and white lid colors, and the pricing seems quite nice at $479.99. However this is a "starting price", and it isn't clear whether or not that includes the keyboard dock. The tablet market may be a bit different by the time this device hits store shelves, but it certainly seems like it will have a better shot at grabbing sales than the Slate 7 does. Head to the Android sync options for your Google account right now and you'll probably see a new check box sitting up top for 'App Data' sync. The new setting seems to have appeared overnight for most people, and we're currently seeing it on all our devices. What exactly this new sync setting does remains a bit of a mystery, but with the Google I/O keynote due to take place today, chances are we'll find out sooner rather than later. One possibility might be saved-game synchronization through the rumored Google Play Games service, however 'App Data' sounds a bit broader in scope. With just five hours to go until the keynote, at least we shouldn't have long to wait before we find out more. What's more, the Google Play Store app itself is also being updated on some handsets, with some folks reporting minor visual changes in the UI. BlackBerry has been rumored to bring its BBM messaging platform to iOS and other devices before, today the company has made things official announcing at its event that support for both iOS and Android will be arriving in the coming months. The service, which BlackBerry says currently has about 60 million monthly active users, will come to devices running iOS 6 and Android 4.0 or above when it’s launched as a free app sometime this summer in the App Store and Google Play. The company said that it would be bringing messaging and groups functionality to new platforms first but also has plans to introduce voice features, screen sharing, and its just announced ”social engagement platform” dubbed ‘Channels’ in future releases. BlackBerry CEO Thorsten Heins said the company is “committed to making the BBM experience on other platforms as fully featured” as possible. Today, Google announced that they are taking all that storage space and making them all into a tight little package for everyone. All Google users now have a free 15GB of storage space across the three applications and Google Apps users will receive 30GB of space. 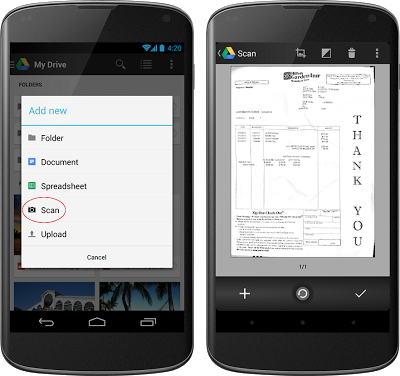 Life gets a bit easier when your Google products work well together whether that’s inserting a Drive file into an email or sharing a photo from Drive on Google+. As this experience becomes more seamless, separate storage doesn’t make as much sense anymore. 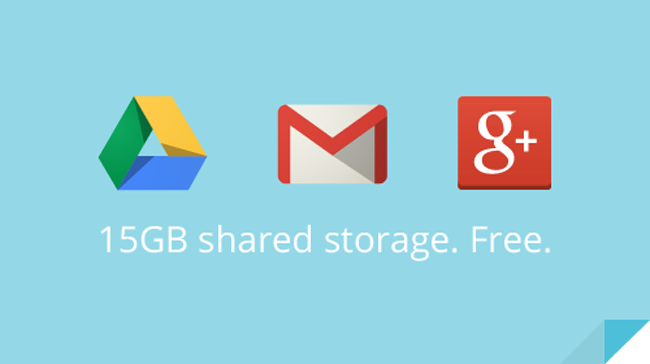 So instead of having 10 GB for Gmail and another 5 GB for Drive and Google+ Photos, you’ll now get 15 GB of unified storage for free to use as you like between Drive, Gmail, and Google+ Photos. Tip: This change means you’re no longer limited to a 25 GB upgrade in Gmail any additional storage you purchase now applies there, too. Additionally Google reminds us that if we can’t make it to Moscone, they’re streaming everything so stop complaining about not getting a ticket.